The next champion coming to the Trials has been revealed, and it's one of our favorites: Blue Beetle! Jamie Reyes wandered into a fight between warring super-human gangs and, desperate to escape, stumbled across the object which they were fighting over: a strange blue scarab. The scarab bonded to Jamie and instantly covered his body with battle armor. Protected, he fled to safety. After his escape, Jamie was horrified to discover that while the armor wasn't permanent, his bond to the scarab was. Worse, he discovered the scarab could "speak" in his mind. It revealed to Jamie that it was called Khaji-da and it was a living tool of conquest created by the Reach, an alien empire bent on conquest. Designed to control its host's mind, Khaji-da intended for Jamie to be a tool of the Reach, paving the way for their invasion. However, the scarab was damaged, much to Jamie's luck, and he retained free will. Now he struggles as Blue Beetle, misunderstood teenager and hero. How do i make my health bar yellow? It will be part of the next major patch. Looks like a fun hero, but I have a question: Where's Atomic Joker? Will you guys ever have noob tutorials here again? 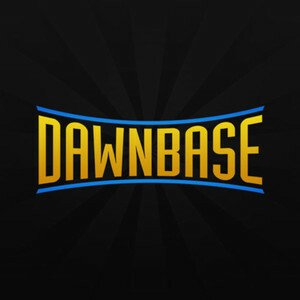 PS: Dawnbase can't seem to send me a e-mail with my new password for my other account DPerete, I use diegolperete@hotmail.com on that one. DPerete never was verified on signup, I just confirmed it for you as a working account. We were considering redoing the tutorial but the IC site has pretty good map explanations, so I'm not sure. We might do video tutorials later on, once things like map layout and features are final and unlikely to change further. It was never verified because I didn't received the e-mail... Dawnbase can't seem to send e-mails to @hotmail.com. I didn't received the verification and e-mail and now I can't use that e-mail nor the 'DPerete' login.